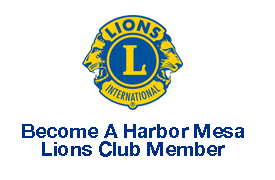 This is a Lions Clubs International Program and an endorsed MD4 and 4-L4 Program. Since 1951 LCI has been sending as many students as possible around the world. In doing so, we hope that they experience another culture and bring about peaceful relations and a better understanding of others. When going abroad they are an Ambassador of Goodwill. They can be selected by your club for their desire to learn about another culture. We offer the opportunity to travel to Japan and various European Countries for a 3-6 week program (varies by country) during the summer. This requires a local club to SPONSOR the student which does NOT involve any financial obligations. As a district we fundraise for the INCOMING students to cover costs of activities while they are within our district staying with host families over the summer. As a multiple, the MD4 Foundation fundraises to cover cost of scholarships for OUTGOING students. Without Club support, this program would not be able to continue. student, YEP incoming activity or a program about this for your club please contact Lion Diane Quinlan, Committee Chair or one of our other region chairs.